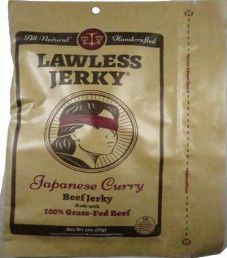 The next review on Lawless Jerky will be on a 2 ounce/57 gram bag of their Japanese Curry flavored 100% grass-fed beef jerky. 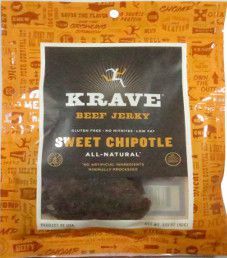 This jerky was graciously submitted by the founder and CEO, Matt Tolnick. 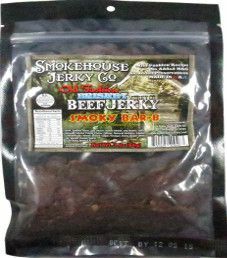 Note: For a more current taste review on a tweaked bag design and ingredient list, open up Smokehouse Jerky Co. – Smoky Bar-B Beef Jerky (Recipe #2). 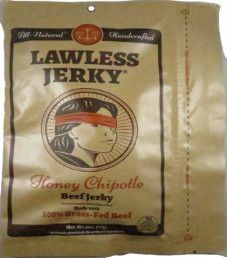 The next review on Lawless Jerky will be on a 2 ounce/57 gram bag of their Honey Chipotle flavored 100% grass-fed beef jerky. This jerky was graciously submitted by the founder and CEO, Matt Tolnick. 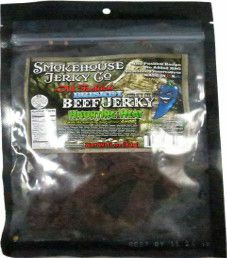 Note: For a more current taste review on a tweaked ingredient list, open up Smokehouse Jerky Co. – Haunting Heat Beef Jerky (Recipe #2).